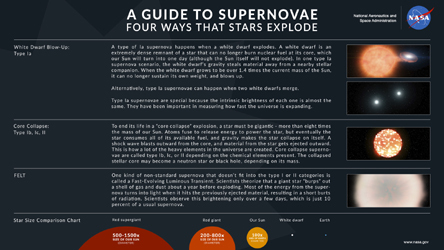 This animation shows a gigantic star exploding in a "core collapse" supernova. As atoms fuse inside the star, eventually the star can't support its own weight anymore. Gravity makes the star collapse on itself. Core collapse supernovae are called type Ib, Ic, or II depending on the chemical elements present.